Philadelphia Police have now identified the woman who was hit and killed by a SEPTA bus on Monday evening in Center City. The woman has been identified as 64-year-old Linda Procaccino, a resident of Cherry Hill NJ. Police say that she was struck by the Route 9 bus at around 5:05 pm Monday evening while she was pushing a baby stroller across 23rd Street near Chestnut Street. Procaccino was dragged a couple of feet after being hit, and was pronounced dead on the scene when police arrived. The baby in the stroller was not hurt in the accident, and no other injuries were reported from inside of the bus. Police say they are continuing an investigation into the accident. 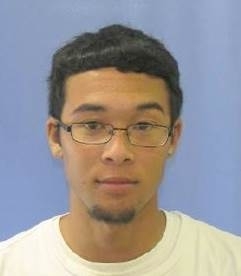 Pennsylvania Police have now arrested the suspect who is responsible for a home invasion as well as sexual assault that took place over the weekend in Bensalem. 21-year-old Derrick Anderson (pictured) was arrested on Tuesday morning in connection with the invasion. The incident took place on 520 Bristol Park in Bensalem. Anderson allegedly broke into the victim's house and crawled on top of her while she was asleep next to her daughter on their couch. The woman woke up to her daughter screaming, and was able to break free from Anderson's grasp. Anderson is a homeless man and was found inside of an abandoned car in Philadelphia. Philadelphia Mayor Jim Kenney is making all the performers in this year's Mummers parade partake in a cultural sensitivity training class so that the performers do not offend anyone this year. At last year's parade, one of the groups mocked Transgender Celebrity Caitlyn Jenner, as well as another group having a Mexican themed brigade, some in brownface. Mummer's officials have stated that they will be more sensitive this year after taking the training. Mayor Kenney, who was a mummer himself for 35 years, said "Denigrating someone's sexuality, denigrating someone's race, denigrating someone's ethnicity is inappropriate and it's not part of the parade. And anyone who thinks that that's part of the culture doesn't understand the culture." Kenney stated that if the Mummers insist on being insensitive, "the long-term existence of the parade is in jeopardy." The Flyers play at home tonight against the Bruins. Tonight, Rain continues with a low of 51 degrees in Center City.